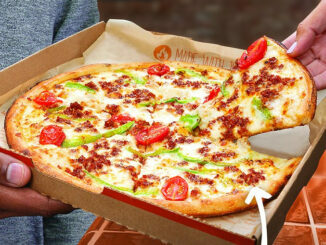 Papa John’s is running a limited-time carryout promotion where anyone can get a large one-topping pizza for $6.99. The special pricing deal is valid on the purchase of a large or pan pizza with one-topping for pickup – only at participating locations. In order to take advantage of the offer, simply visit Papa John’s website and click on “Specials” in the top navigation menu. Look for the “Carryout Special” and place your order. The discounted priced will be applied at checkout. It’s my understanding that the “Carryout Steal” in not available at all locations. Check with your local Papa John’s online to confirm participation.